I know people who count down the hours before payday when their bank account will be back in business. It’s not the best spot to be in financially because you are living payday to payday but the struggle is real for so many Canadians. It becomes a vicious circle until you find a way to put the brakes on a stress that is probably weighing you down. Becoming financially secure is a dream for just about everyone so we can forget the daily worries of car payments, mortgage, credit card bills and a host of other debts that cause stress-related issues, relationship issues and potentially depression. No one likes to feel that they are not in control of their lives especially where money is concerned. What does financially secure really mean? Well, I can tell you that it doesn’t mean that you have a job that pays you big bucks. That misconception is what gets people into financial trouble in the first place. This just happened, check it out. While chatting to a colleague at work briefly the other day he asked me what day it was. This is not unusual because just about everyone has experienced a time where their mind plays games with them. I know it’s happened to me many times. After our son was born I forgot how old my wife was for her birthday. I think they call that dad-brain or work-a-holic brain but something along those lines where I just wasn’t getting enough sleep. This is what I was expecting from my colleague since we work such long hours at a job that is very draining physically and mentally. Then out of the blue he blurts out damn our credit card payment is due today. I looked around to see if I was who he was talking to and that he wasn’t on any fancy technology talking to his wife. Nope, it was me he was talking to. When I questioned him he said that he was hoping payday would fall today so he could pay his credit card bill. OH, I said with just a bit of shock especially since I know he makes well over 6 figures. If you knew this then you would imagine that he wouldn’t need to worry about when payday was. At least that’s what people assume of those who earn a large income but that doesn’t mean they aren’t in debt. Roads aren’t paved with gold my friends. I don’t know his financial situation but something tells me he doesn’t have a beefy emergency savings nor does he budget efficiently, if at all. I mean he very well could be using a budget but I don’t think it’s working so well for him. Related: How much emergency savings do you need? It’s not because the budget doesn’t work but because the operator hasn’t correctly balanced it according to their debt to income ratio. Even then if you’re not earning enough money to pay your way you best be looking for a second job and steer clear of those payday loan or cash convertors shops which so many people get tangled in as a last resort for quick cash. 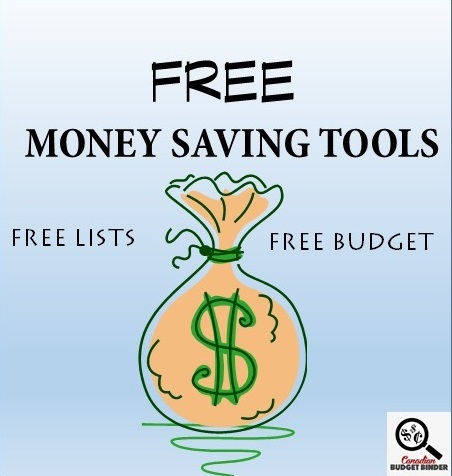 Related: Download the CBB Budget FREE! When he told me that his credit card bill was only a bit over $2000 I asked him if he pays it in full every month. Most times yes he says if they have the money when payday comes around otherwise they will pay what they can and then conquer the rest the following month. He said that his wife spends more money than she should mostly on clothes, accessories and other stuff and it’s hard to control her. He smiled at me as if he thought it was funny but I’m betting inside he was wondering how he was going to solve that relationship problem. It becomes a problem when two people can’t or aren’t communicating about financial issues or they can’t come to terms with them. I told him that he’s not alone and many people struggle with their finances especially in relationships. His wife is a stay-at-home mother of 1 who hangs out with other women who like to spend and flash their cash around. Although he makes a good income it doesn’t seem motivating when he’s constantly hoping that pay day will come along soon. I have one friend who sets an alarm on his smart phone that tells him that it’s his payday. No kidding but for now it works for him and this is how he pays his bills. Once his money is deposited he goes online and makes his payments. It’s not the ideal way or one that I would suggest as I’m meticulous when it comes to financial organization but he gets the job done without paying unnecessary interest. 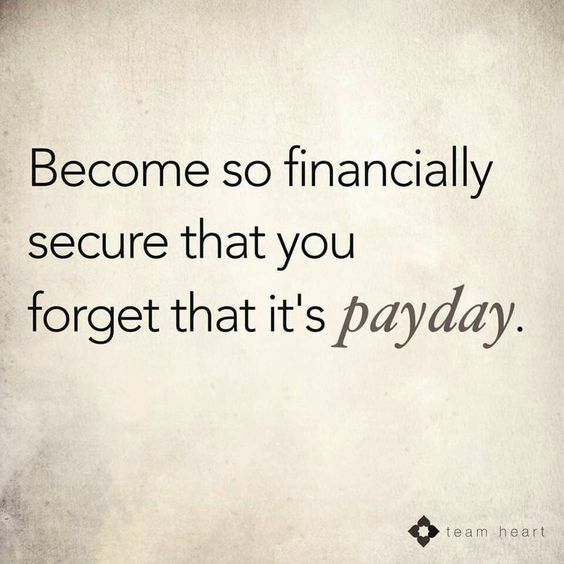 Some people live and breathe for their next payday and there are others who are so financially secure that they forget that it’s pay day. This is how my wife and I are. Over dinner I was explaining to Mrs. CBB my earlier conversation that day and she was not shocked. We never are. Debt can get the best of anyone and it’s hard, we get it. What we did notice about our own financial situation is that we never worry or question payday. To be honest most weeks we forget that money was deposited in the bank from my employer until we log in to our PC Financial bank account online to check or pay bills. That must make us feel great you’re probably thinking and the answer is, YOU BET!! We never gave much thought to how fortunate our financial situation really was until this conversation because after we paid our mortgage off and we had zero debt life just continued as it did before. The only difference is that we weren’t huddling over the bank account waiting for a deposit like we used to do because we wanted to transfer money to pay debt or put extra payments down on the mortgage. It was a game of time and patience back then but we’ve wiped our slate clean for now. If you really want to be financially secure you MUST invest in your financial health. Start a hobby that makes money like working from home or working online. 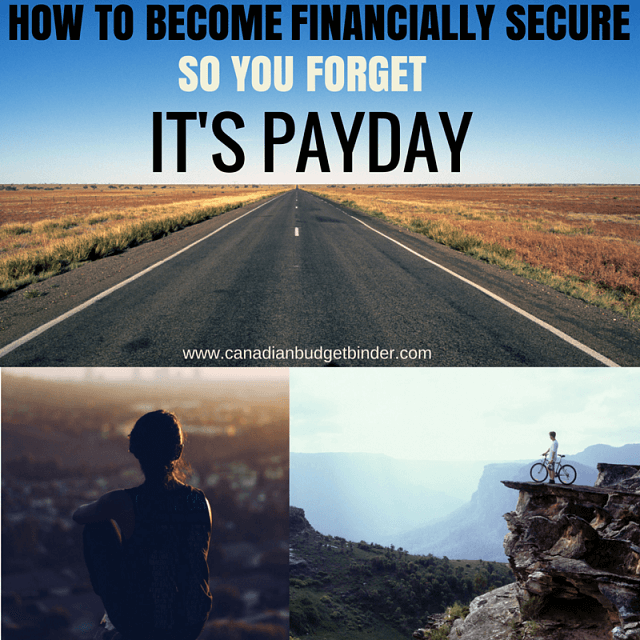 Payday is a powerful word that most people won’t forget but when it slips your mind you can bet you’re loving debt freedom or you’re well on your way. How often do you think about your payday? RESP Contribution 2016: $208.33 a month. What a change from last month where we had a staggering increase in one month to a measly $6,000 this month. All I can say is Brexit and the fact that my fellow countrymen took to the polls and voted to leave the EU (European Union). I did have the opportunity to vote, but didn’t act upon it as I haven’t lived there for quite some time. It wouldn’t be right for me to vote on an issue where I won’t see the impact. However, we did see an impact because leaving the EU was the shock result nobody was expecting. The markets took a hit and so did the pound. So our investments took a minor tumble in the fact that they didn’t grow at all. Our only increase this month was cash that we earned. Using figures from our actual net worth gains over the past 12 months (the solid blue line) it has suggested that by the end of this year (2016) we should be just shy of $900,000.00. This can change over the course of the year and is only a prediction based on known historical figures from our finances. According to the chart, we should hit the million mark in June 2017. Below you can click the links to read past 2016 net worth updates to see if we were on target or if we struggled with some of our numbers. That’s all for this months net worth update but please check in at the beginning of August 2016 to see how we made out in July 2016 and what has happened to our finances since. Check out our past actual Monthly Budget Updates to see how much money we earned and where the money went for the month. Looking back, is there anything you would do different when it comes to your finances? Like you said, at least the mortgage is paid off. Do you use a budget Colleen? I know you are super savvy with your purchases which is amazing. Where does the bulk of your money go every month? Thanks for your comment. 🙂 GD.. haha! loved that. Glad you do the home value thing yearly. 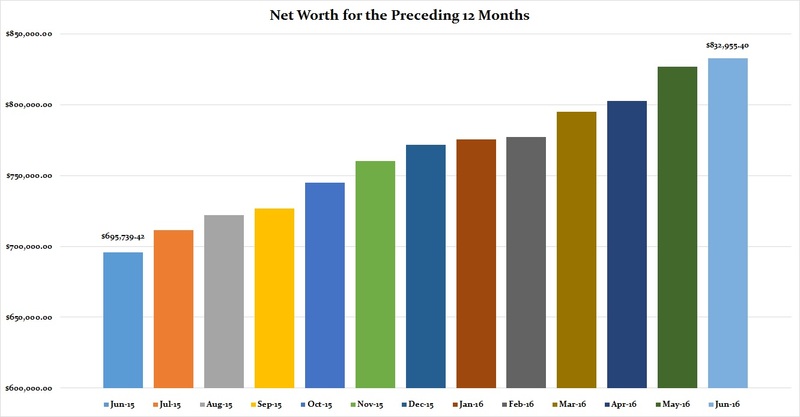 I’ve seen so many blog posts where the author is celebrating a net worth increase month-to-month but when you look closely at the numbers, they actually saved less, created more debt, and their investments went down. Using a monthly update from Zillow makes it look like they came out $10K ahead–and I’m sure they know this is fudging the numbers a little bit. (A seller may or may not get the book value for their house if they decided to sell it–the final value after settlement, transfer, fees, etc., may be off my thousands or tens of thousands in either direction.) Sticking to a baseline home value allows the total assets and net worth numeric values become something more meaningful. I’ve been reading your posts for a while now. It’s encouraging to see the progress you made. 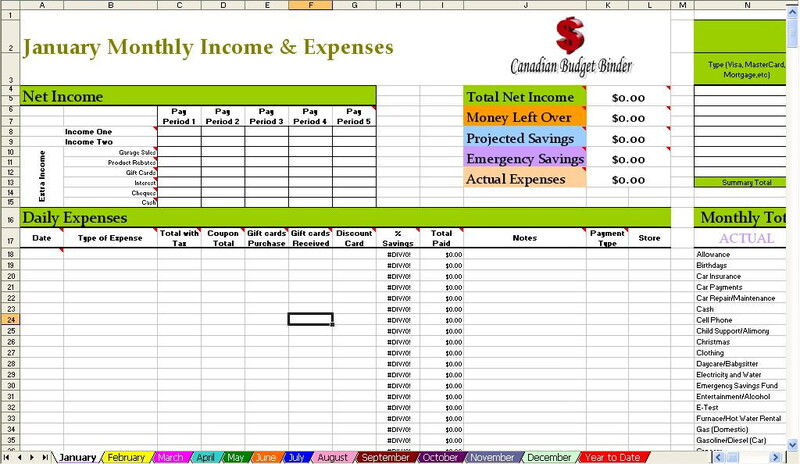 My wife and I of 10 years are struggling with a 6 figure income but are putting plans in place to get us back on track. It’s nice to read emails like this last one and gives me hope for the future. Keep them coming and all the best in the future.